Latest township by NAZA TTDI - VIOLA. Following the successful launch of TTDI Alam Impian’s SPIRA, the township’s first phase of residential development which completely sold out in only three days, NAZA TTDI is now geared to further raise the benchmark of modern living with the unveiling of VIOLA. 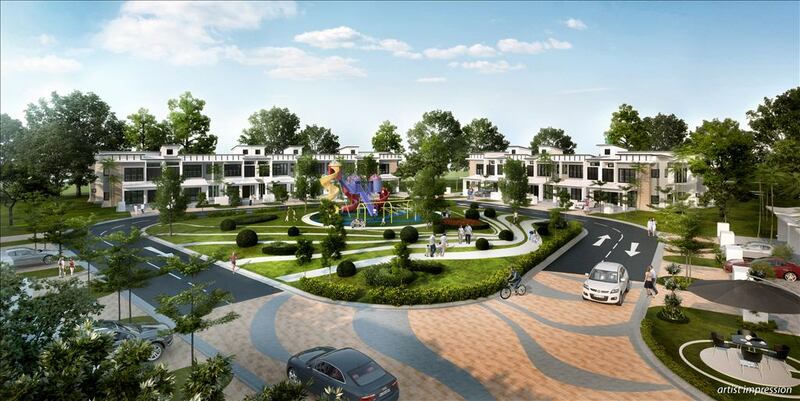 The launch of VIOLA marks the developer’s second residential development phase for its Alam Impian township that promises to offer home owners a unique urban living experience that’s ideal for the modern family. Setting itself apart from conventional townships, this new precinct will bear four different elegant contemporary home layouts encircling pockets of parks to provide residents with wholesome and vibrant community living. In conjunction with the unveiling of TTDI Alam Impian’s Viola held recently, close to 200 property enthusiasts attended the event where almost 95% of NAZA TTDI’s VIOLA homes have been booked by eager home buyers, all in just one day. Offering several designs and layout plans, the VIOLA homes have spacious built up areas ranging from 1,952sq ft to 3,116sq ft. Located strategically in Shah Alam, these VIOLA homes are also easily accessible via several highways such as, NKVE, KESAS, ELITE as well as the newly completed LKSA highway. Faliq further adds that he is encouraged by the overwhelming response received during the launch and several NAZA TTDI launches that came before it. “It is a testament to the strength of our brand and of the products we put forward. We are always looking for ways and means to better ourselves. Property in Penang will continue to remain a favourite choice among investors as it is expected to show returns that are above the national average. Henry Butcher Malaysia (Penang) Sdn Bhd director Dr Jason Teoh said property investment was generally perceived to have a longer term horizon as it was not so volatile compared to stocks. He said investing in property had proven to be a good hedge against inflation because the returns ge-nerated were higher than the Con-sumer Price Index. “In fact, seasoned real estate in-vestors from Hong Kong and Singa-pore have predicted that real value will increase over the next few years. “Among the reasons is Malaysia’s recent positioning in the top 10 list of the world’s most competitive countries,” he said in a statement in conjunction with the official launch of the lifestyle suites, 118@Island Plaza, at level seven of Island Plaza, Penang, this weekend. The public is invited to the sales gallery to view the show unit between 10am and 6pm on Satur-day and Sunday. Response to the initial sales preview had been overwhelming with 50% of the 106 suites sold prior to the official launch. Henry Butcher Malaysia (Penang) is the sole and exclusive marketing consultant for the contemporary suites owned by Omega Moments Sdn Bhd. Teoh said foreign real estate investors had complimented Pe-nang’s progress in offering some of the most attractive product designs, but at prices which were only a fraction of those in their home countries. “Penang’s real estate market can now be benchmarked against some of the best schemes in Kuala Lumpur and Singapore,” he said. He added that Penang, being voted among the eighth most liveable cities in Asia, on par with KL and Bangkok by ECA International, had created further excitement, especially among foreigners seeking a second home. 118@Island Plaza is the first alteration and amendment development of its kind, which when completed, will offer much demanded housing and office units for professionals and expatriates. Each unit, ranging from 500 sq ft to 1,160 sq ft, is thoughtfully conceptualised and designed as part of Island Plaza’s remodelling programme to bring in greater vi- brancy. 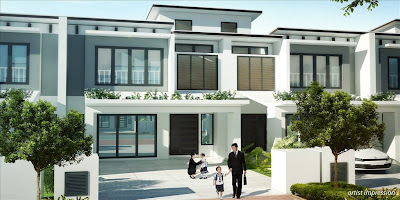 For enquiries, contact Henry Butcher Malaysia (Penang) Sdn Bhd at 04-2298999. MAIN-MARKET listed property developer Hua Yang Bhd has launched a two-storey commercial complex called Oasis 9, Shah Alam which is currently 100 per cent tenated. "We initiated the project in 2006 under a build, operate and transfer agreement. Work began in 2008 and was completed by 2010," said Chief Executive Officer Ho Wen Yan in a statement Wednesday. Oasis 9, which provides an avenue for small-and-medium sized businesses, would be managed by Hua Yang for 30 years under a partnership entered into with the Shah Alam City Council. "What's impressive about Oasis 9,Shah Alam is that we have the biggest Arab restaurant in Malaysia, right here at our doorstep," he added. WCT Bhd, a construction and property outfit, will undertake a mixed commercial project in Johor next year featuring retail, offices and apartment blocks. The RM688 million project, located in Medini, in Iskandar Malaysia, will be WCT's second development in Johor after 1Medini Residences. 1Medini comprising 1,332 condominium units worth RM600 million, will be launched by June next year, said WCT general manager for sales and marketing Stewart Tew. Tew said WCT is bullish on Johor market, hence it will buy more land there when the opportunity arises. "We are venturing heavily into Johor. There has been a lot of catalyst development in Medini like Legoland Malaysia and Newcastle University Medical Malaysia. "Iskandar Malaysia is close to Singapore, a high networth business district. So we see potential to grow in the south," he said yesterday in Kuala Lumpur after a signing ceremony between WCT's Platinum Meadow Sdn Bhd and Global Capital & Development (GCD). GCD, a Mubadala-led consortium, is the concession holder tasked with the development of Medini, comprising lifestyle and leisure cluster, Medini business district and a cultural centre. WCT is buying 4.1ha from GCD for its commercial project. GCD chief executive Keith Martin said it expects a new wave of development in Medini next year. Martin said GCD is talking to potential investors in various sectors in Asia Pacific to invest in Medini. GCD is conducting a feasibility study to develop Plaza Medini, a two million sq ft commercial mixed used project, featuring offices, retail, serviced apartments and hospitality venues. Key plans include setting up a US$150 million (RM469.50 million) film and television production facility. Medini is expected to generate over US$20 billion (RM69.6 billion) in revenue over a 15 to 20 year period. GCD is represented by investors from Malaysia like Iskandar Development Bhd and Mubadala, the Abu Dhabi government investment company. LBI Capital Bhd's wholly-owned unit, LBR Industries Sdn Bhd, has signed a conditional sale and purchase agreement with Yap Geok Kee Sdn Bhd to acquire four pieces of land in Penang for RM15 million. In a filing to Bursa Malaysia today, LBI Capital said the acquisition would increase the development land of the group and boost earning. "The company plans to develop the land into lifestyle retails lots with hotel suites since it's located in a popular tourist belt," it said. YTL Corp Bhd is selling four properties to Starhill Real Estate Investment Trust (REIT) for RM472 million and leasing them back. The properties are Cameron Highlands Resort, Hilton Niseko in Japan, Vistana Penang and Vistana Kuala Lumpur, the group said yesterday. Apart from RM100 million cash payment, Starhill Global Real Estate Investment Trust will also issue convertible preference units at S$1 (S$1 = RM2.40) per unit. Upon conversion of convertible preference units into Starhill Global REIT, YTL Corp's stake in the Singapore exchange-listed REIT will increase. Asia will lead the world in developing new office space as firms shift focus away from lacklustre markets in Europe and North America, a report said Tuesday. Asia will be the only major global region to boast "significant" office completions in 2010 and 2011, before slowing somewhat in 2012, said the new report by international property firm CB Richard Ellis. The region -- including Hong Kong, mainland China and Singapore -- will account for about two-thirds of world office completions by 2012, far outpacing development in Western Europe, North America and the Pacific, including Australia and Japan, said the report. "Asian office development has by now fully resumed after slowing down briefly in the wake of the global economic downturn," said the report, "Global Office Development Cycle: Where are we now?" "Other regions, in contrast, are experiencing either slightly below normal completions, such as the Pacific, or relatively scant completions, such as Western Europe and North America." Asia will account for about 65 percent of the 293.2 million square feet (26.4 million square metres) completed in leading global office markets between 2010 and 2012, the report said. Europe will account for about 23.6 percent, or 69.1 million square feet, of the total followed by North America at 7.9 percent (23.1 million square feet) and the Pacific with about 3.6 percent (10.5 million square feet). On an annualised basis, office completions in North America -- pounded by the global financial crisis -- would drop by 70 percent between 2010 and 2012 compared with the yearly average between 2001 and 2009, the report said. By contrast, Asia's average yearly office completions would soar by 50 percent compared with the previous nine years. "Office demand in North America will remain sluggish in the near term as companies continue to be cautiously optimistic and try to preserve their cash reserves," the report said. The big shift reflects firms looking to Asia amid a sputtering economic recovering in the West, and moving employees to boost their regional presence, the report said. "This shift in corporate activity is reflected by the way in which the regional focus of office development has changed, especially since the global economy has begun to emerge from the financial downturn." When 35-year-old Yu Chang-che made a record-breaking offer on an apartment on the fifth floor of The Palace, a gated community in downtown Taipei, he set off a wave of complaints across Taiwan.Yu, the son of a well-known property investor, agreed to pay 280 million Taiwan dollars (nine million US) for the 450-square-metre (4,800-square-foot) unit, a historic high that raised eyebrows around the island. "Many people wouldn't be able to buy so much as the bathroom in such a luxury home even if they spent their entire life savings," said Lai Shyh-bao, a legislator of the ruling Kuomintang party.The deal ended up on the front pages of major newspapers and became a hot topic on the 24-hour news channels as fears mounted it would set off new cycles of speculation. In the end, Yu backed out of the transaction.In the wake of the global financial crisis, Taiwan's property market has soared, sparking fears that prices will spiral out of the reach of the average buyer -- and generate a damaging property bubble.At the end of October, the average price of property in Taipei city was 4,614 US dollars per square metre, according to data from property agency Taiwan Realty.This is up 15 percent from a year earlier, and makes Taipei the fifth-most expensive Asian city, behind Hong Kong, Tokyo, Singapore and Seoul, and ahead of Shanghai and Beijing, according to the agency. "No one expected an upturn such as this," said Chen Yu-cheng, a broker at National Realty, another Taipei-based property agency.Analysts say the rally has been spurred by low interest rates amid ample liquidity worldwide aimed at rescuing struggling economies.Adding fuel to the fire is a government decision to slash inheritance tax, prompting an inflow of idle money that had stayed abroad, said Chang Sheng-hung of Mega International Investment Services.Finally, the property market has been helped by a significant reduction in tension with Beijing after the China-friendly politician Ma Ying-jeou was elected president in 2008. Tallies released by the government in August indicate that the house price-to-income ratio -- the ratio of the median market home price to the median annual household income -- hit 11.5, up from 9.9 at the end of 2008.In other words, even if an average Taiwan family spends nothing on food or clothes or anything else, it will still take more than a decade for them to be able to buy a home. Skyrocketing housing prices have emerged as a key public complaint, and the central bank has raised interest rates twice while tightening credit for housing loans this year, but so far to little effect. "The bubbles have been there for a while and are getting bigger and bigger," said Chang Chin-er, a specialist in land economics at National Chengchi University in Taipei.Unlike the academics, land developers say the present prices remain at reasonable levels, arguing that the risk of a sharp correction is low -- at least within the next year. "If you take the price-to-income ratio into consideration, Taipei's realty prices still fall within reasonable levels," said Frank Chung, the chairman of Huaku Development Co.Chung remains bullish, citing the continued US attempts at quantitative easing measures which have been further driving up liquidity heading for emerging markets, including Taiwan. Still, the private think-tank Taiwan Institute of Economic Research strikes a cautious note, saying short-term speculative trading, seen as one indicator of bubbles, has made up more than 20 percent of total transactions. "The risk of bubbles bursting may be even more pronounced next year if the government takes no fresh measures to rein in prices," said Liu Pei-chen, a researcher at the think tank. Also setting off alarm bells at the think tank is the fact that the total amount of the island's outstanding housing loans now account for more than 40 percent the island's gross domestic product, she said.Chengchi University's Chang estimated Taipei's property prices are already 43 percent higher than they should be, given average incomes and the current demand for rented homes. "The bigger the bubbles, the greater damage they may wreak to the economy once they burst," he said. Malaysia-based international healthcare provider, Columbia Asia Group today officially opened its new Columbia Asia Hospital-Bukit Rimau in Shah Alam, developed at a cost of RM67 million. "There is an increasing demand for affordable healthcare services and we are excited to bring this new hospital to residents in Bukit Rimau and the surrounding communities," said Chief Executive Officer, Southeast Asia, Columbia Asia Group, Kelvin Tan. "This facility will also augment our other seven hospitals in Malaysia in line with our goal of becoming the preferred choice for employers, insurance companies and middle-income families across Asia," he said in a statement here today. The hospital in Bukit Rimau is the eighth Columbia Asia community hospital in Malaysia after one each in Miri and Bintulu in Sarawak, Seremban, Taiping, Shah Alam, Puchong and Nusajaya (Johor). It plans to open three more hospitals namely in Cheras Selatan and Setapak in Kuala Lumpur and in Seremban. These hospitals are expected to be operational in phases from early next year to 2012. Tan said there has been an exponential increase in the number of people who are medically insured by employers and insurance companies. In Malaysia, over 70 per cent of Columbia Asia’s revenues are received from third party payers.